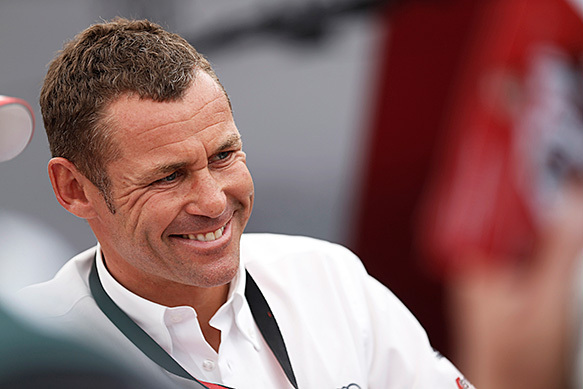 Nine-time Le Mans 24 Hours winner Tom Kristensen will retire from racing at the end of this year's World Endurance Championship. The 47-year-old Dane made the announcement on Wednesday in his homeland in the company of Audi Sport boss Wolfgang Ullrich, who brought Kristensen to the German marque ahead of the 2000 season. Kristensen told the press conference in Copenhagen: "I have been told that you know when it's time to stop and I have not had that feeling until now. "Over the past couple of months, my thoughts of retiring have been stronger, and therefore, it feels right to inform you today that I am retiring from motor racing. "I still feel I am in peak physical form and possess the necessary mental toughness both in and outside of the car: it has been important for me to stop while I am still strong and able to deliver top performances at Audi." Was Kristensen the greatest driver who never reached F1? Kristensen said that he had chosen to announce his decision ahead of the WEC finale at Interlagos on November 30 "in order to be able to say a proper goodbye to the sport I love so much at our last race in Brazil". Interlagos, where he will share the #1 Audi R18 e-tron quattro with Loic Duval and Lucas di Grassi, will be his last event as a professional racing driver. He had been under contract to Audi until the end of next season, but he will now become an ambassador for the German marque. 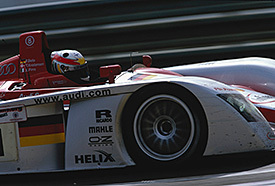 He will also have a role with Audi working with its drivers and will continue to be present at races. Kristensen said it had been a "privilege driving for the best team and the world's coolest automobile manufacturer for 15 years". The announcement brings to an end a career that made him one of the all-time great sportscar racers. Kristensen won on his debut at Le Mans with the Joest privateer Porsche team in 1997, and after a two-year stint at BMW that should have yielded victory in 1999, he embarked on the most successful phase of his career upon joining Audi. He completed a hat-trick of victories in the 24 Hours sharing Audi R8s with Emanuele Pirro and Frank Biela in 2000-02, won again while on loan to Audi sister marque Bentley in 2003 and made it six wins on the trot with the works-assisted Goh and Champion teams in 2004 and '05 respectively. Arguably his greatest Le Mans triumph came in an against-the-odds victory in 2008 together with Allan McNish and Rinaldo Capello, while his ninth triumph at La Sarthe in 2013 set Kristensen, McNish and Duval on the road to the WEC title. F1 Is the Ferrari recovery real? F1 Can Haas succeed where others failed? WEC Can back-to-front work for Nissan? F1 Is it a drama or a crisis at McLaren? F1 Has Vettel got his mojo back?